Turbo and his Fast Action Stunt Team (FAST) are back with brand new Netflix original programming episodes that start streaming April 4th. Follow their zany adventures as they go up against new enemies - and one old one! I had a chance to preview the new episodes - and I couldn't stop laughing. 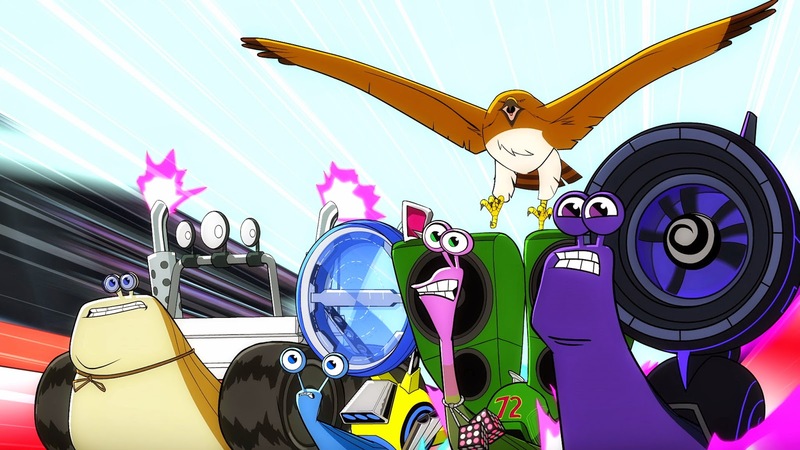 Turbo FAST is probably best for school-aged kids with its slapstick, potty humour, but teenagers and adults will definitely enjoy it too due to the observational humour made by specific members of FAST. Each 23 minute episode has two stories. My favourite episode of the new ones has to be 106. In "Turbo Stinks", Turbo's promotional brand merchandising has gone a little too far - birds are attracted to his latest product, cologne and start attacking the city. The team needs to figure out a way to get rid of the birds, and Turbo takes us all on a wild chase down the freeway until a side attraction provides the perfect solution. 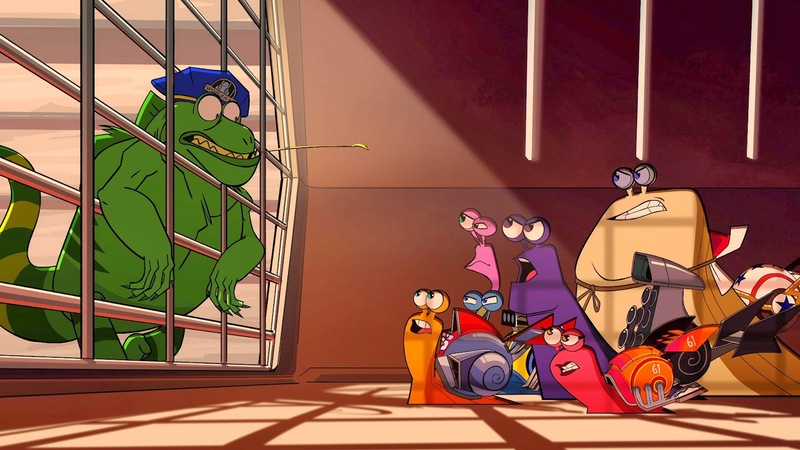 In "Snails in Jail", Turbo receives some snail mail (hee hee) from an injured snail who is hoping to meet him. The gang heads out only to be stopped for speeding by a lizard Warden and thrown in jail. Chet gets stuck with a Frog who eats everything and the unlikely pair manage to save the day when Turbo figures out he's been set up. But my favourite story of all the ones I previewed has to be "Hardcase Returns" from episode 108, in which Hardcase the Beetle who just can't beat Turbo returns to try again. From Hardcase not knowing how to use a Smartphone to him determining that a tar pit is the best plan of action, I love watching this character fumble. Who is your favourite member of FAST? Would you like to watch the FAST team for six months for FREE? One lucky YYZ Bambina Reader will win party watching kit and 6-month Netflix Canada subscription! Open to Canadian Residents (excluding Quebec) who are the age of majority only. Valid entries only. Contest ends April 20th. For further contest rules, refer to the Terms and Conditions within the Rafflecopter. We haven't watched the movie or tv show yet. We've had Netflix before and we really like although we're not subscribed at the moment. This looks like something my daughter would enjoy though! We haven't seen it so don't have a favorite. Would love to win so we can try netflix and see it. Turbo would be the favourite! My little guys love Turbo! I haven't seen it yet so I'll have to wait and see! Turbo all the way as my kids fave! Turbo is my kids fave. Turbo is definitely my favorite. I like the white shadow! I lovev netflix, I hardly watch tv now. Skidmark is the best member of FAST! Turbo I like his spirit He has grit! Never heard or see it but looks like Turbo is the most popular. I would watch Glee all day if I won this prize! What an awesome series I love Burn! Could there be any other choice, but Turbo?!? Love him! Turbo is our favourite. Not very original I am afraid! Turbo is my fave and my kids fave too! I have only seen about 10 minutes and would have to say Turbo. We have not watched the show as of yet, but I think that my son would like Turbo.